Football is king in Africa and with one of the continent's own among the stars going into the Champions League final, Africa is united behind Liverpool against Real Madrid. Mohamed Salah has set Africa's social media buzzing, and even fans of Real Madrid find themselves torn. Aminu Mai-unguwa Mohamed is such a staunch supporter of Liverpool's rivals Chelsea that he is known by his friends as Aminu Mai-unguwa Chelsea, yet he had this to say to the BBC about his support for Salah: "I have faith in Salah, his team will be successful in winning the cup. "I think he is better than both Messi and Ronaldo combined, and if his team were to play Chelsea, I would still support him." She told the the BBC: "I think every now and then you get a footballing great who you respect and admire regardless of the team. "If they are a great person off the pitch too, then that's when I sign up. Mo Salah is a brilliant footballer and an amazing human. I hope he scores the winner." A Liverpool fan in Nigeria made his predictions to the BBC, saying: "I'm sure Liverpool is going to carry the cup, and I predict 3-1. "At the first half I'd say 2-0, and Mo Salah is definitely going to get a goal in, then Firmino, and at the second half, Mane will certainly get a goal in!" "If Real Madrid win, it will become a streak," he told the BBC, "so what better way to stop them from getting the third championship in a row?" "Mo Salah is the guy," he said. Another die-hard African Real Madrid fan had this to say to the BBC on the match: "Cristiano Ronaldo will never go off a field empty-handed. It is at these times that you see him at his best, so I believe Real Madrid will win the cup." Nevertheless, Mohamed Salah has the support of most of Africa, as he is seen as a beacon of hope, and a shining example to young people across the continent. 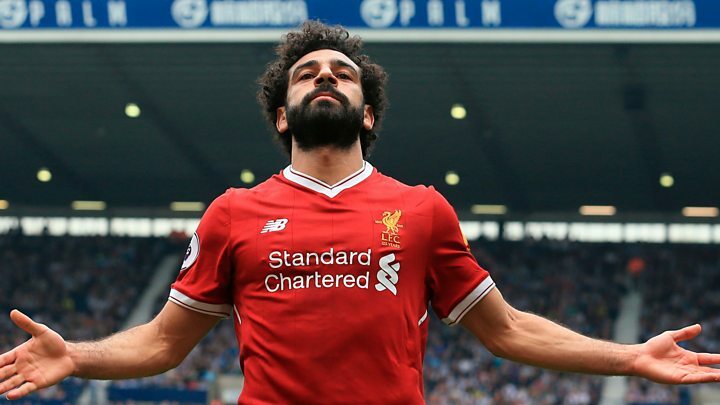 The "Egyptian King", as he has been christened by Liverpool fans, is flying high with 44 goals scored in total this season. Top pundits are comparing Mo Salah to Barcelona star Lionel Messi, who some say is the world's best ever player. Saturday's final will see Salah in a showdown against fellow contender for the Ballon d'Or award for Europe's best footballer, Ronaldo. And it is not just Salah's on-pitch skills that have got people talking. Nigerian sports analyst Salisu Musa Jegus told the BBC that Salah was a player that all Africans looked up to. "Mo Salah is an exceptional player who is representing Africa, and even though he is not the only African playing at the finals, he has surely over shadowed his colleague Sadio Mane." Streets have been named in his honour, as well as a school in the Egyptian city of Basyoun, while in January the footballer was received by the country's President Abdel Fattah al-Sisi. It seems the love for Mo Salah has even had two opposing groups in Egypt find agreement for once. Pro-state figures and Muslim Brotherhood supporters alike were quick to signal their support after he helped guide the Pharaohs to their first World Cup finals since 1990. 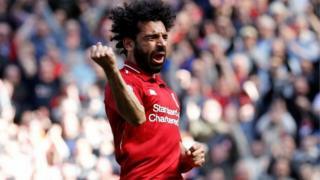 Whatever the result of the Champions League final, Salah has made an impression on the African continent, and has carved a niche for himself both on and off the football pitch.